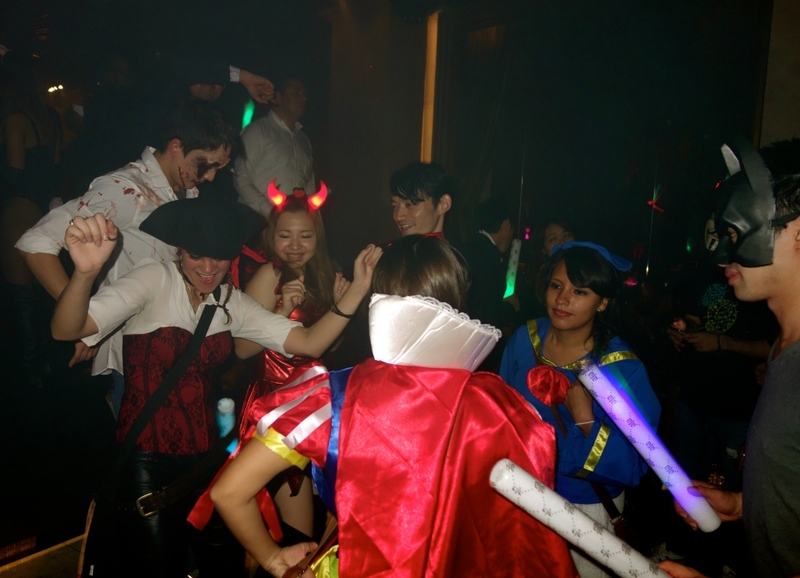 Halloween is one of the biggest party events in Japan and some have estimated that Japanese people spend more on the festivities than those in America. And why not? This is the costume play capital of the world. 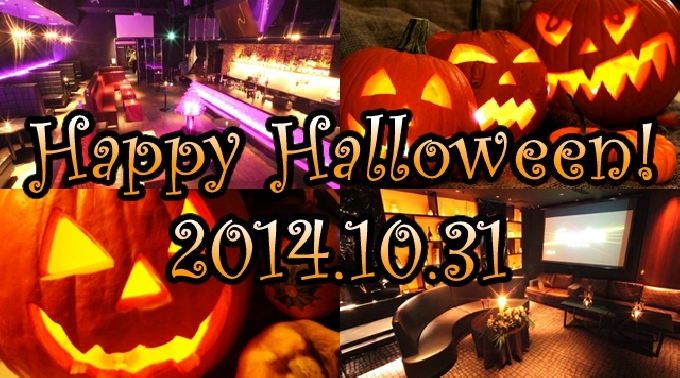 (In the best love hotels, every day is Halloween). 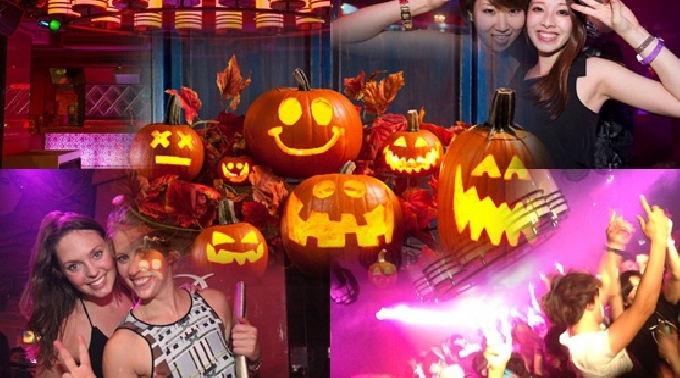 Halloween in Japan used to be a non-holiday celebrated by only a few rowdy foreigners. The biggest party was on the Yamanote line where groups of masked barbarians would take over a a train car and party on. The stuff of legends. Since when was Halloween so popular in Japan? Up until about the year 2000, Halloween was something people would only hear of by learning English or watching TV programs from other countries. But when Tokyo Disneyland got in on the act (let’s face it – there’s money to be had from a simple spooky makeover), people began to sit up and take notice. On Oct 31, 1997, visitors to Disneyland wore costumes to be part of “Disney Happy Halloween”. Then in 2000, 400 visitors and Disney characters in costume held a ”Happy Halloween Twilight Parade” in the park. Already enamored of Disneyland, the people of Japan were enchanted by this new idea of Halloween. The event was a hit in 1997, and the scale of the party increased along with public awareness, until Halloween became established as an annual autumn event. Currently the lavish celebration kicks off sometime in early September. 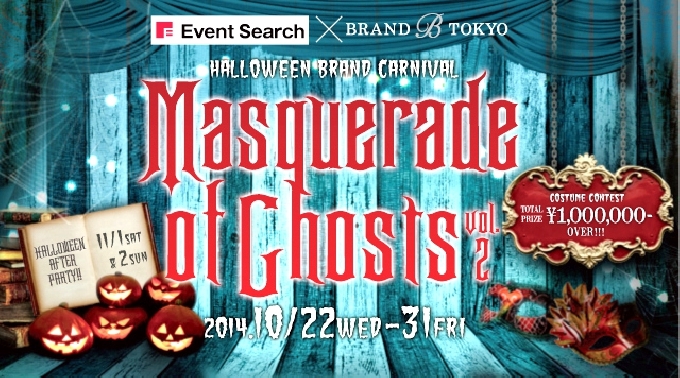 Tomorrow and Friday will be Halloween Paradise in Tokyo but where to go, what to do? For you, our gentle reader, we’ve capriciously picked several places with total bias in our choices, including parties run by old friends, former employers, and people we sort of know–not even a veneer of objectivity. But we’re going with what we know. this one is over but it was a blast! ‘The highly anticipated Metropolis Halloween Glitterball‘ – supported by Fashion One and Fox Backstage Pass – is here once again! It looks great. The website for buying tickets in advance is buggy. Argghhh. But try your luck. BIAS NOTICE: Many of the staff members, past and present at Japan Subculture Research Center have written for Metropolis at one point in our career, including acting editor-in-chief, Jake Adelstein (under the transparent name ‘Joshua Noblestone’). The Metropolis may not be what it once was but it remains one of the only printed guides to events in Tokyo in English and sometimes has some great articles. So we are definitely going to this party. We even have a testimonial and click bait picture for this blog. The femme fatale MC GG, pronounced like jiji (爺）will be hosting the Halloween Glitterball. it was a blast. next year! 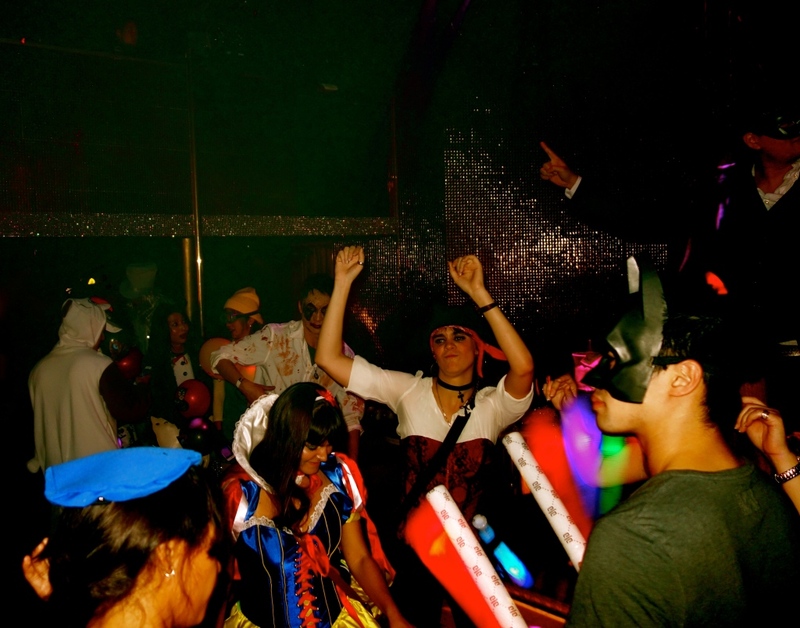 Four floors of halloween action: dance, lounge, linger, drink. Costume Play (コスプレ) That Pays! In the abandoned remains of legendary A Life, Brand Tokyo reopened in July of this year, and is hosting several nights of Halloween Brand Carnivals, and giving away 1,000,000 yen in prizes for costumes. It’s a mostly Japanese crowed and tickets are being sold in advance—and close to being sold out. If you’re going to play, you might as well get paid. And according to the proprietors–it’s open until the last train. All night long. 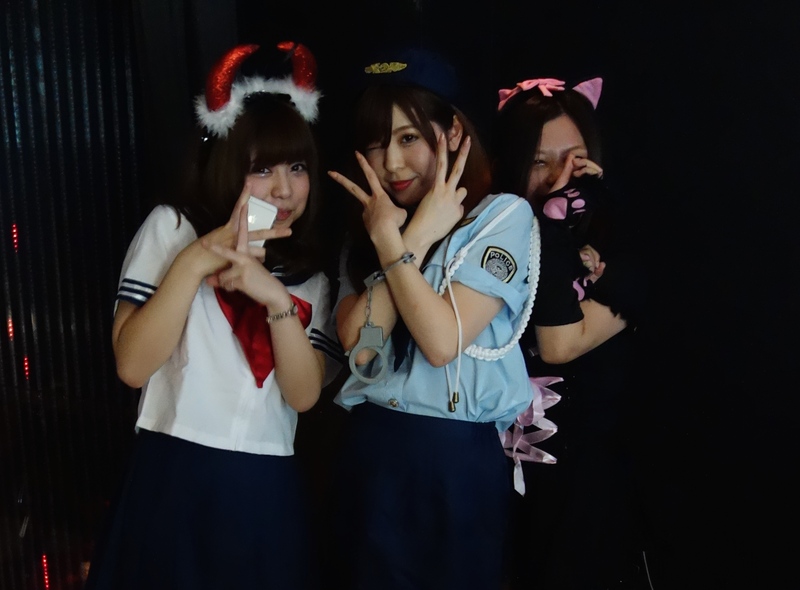 Have a gay and happy halloween in Shinjuku 2-chome. Come for the zombie walk and stay out all night until you feel like a zombie. Shinjuku 2-chome is the center of Tokyo’s LGBT world. This Friday not only has a zombie walk but for those with a costume, it’s only 1,000 yen at the Aisotope Lounge if you go in costume. If it’s a FABULOUS costume–free. 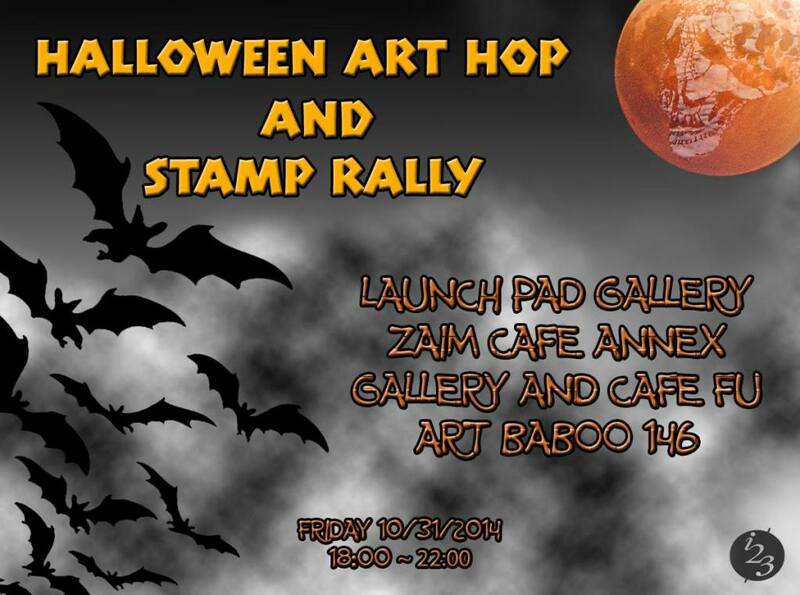 This all-nighter goes beyond the conventions of sexuality, gender and taboos, featuring everything from corset fitting and a flea market to a colourful zombie walk around the area, while the beats will be provided by the indomitable Tomo Asahina and friends. Who could resist? 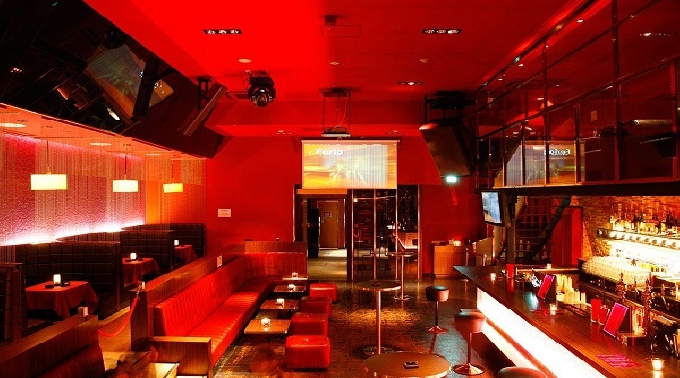 This is where the JSRC staff will probably spend their Friday night dressed up as ninja. You won’t be able to find any of us—that’s how good our costumes are. and receive a special spooky Halloween print!